It was one thing that Jesus was crucified for all the word’s sins. It is another that He rose from the dead. By Jesus’ act of offering up His life on Calvary’s cross, our sins can be forgiven. The fact that He rose again after the crucifixion shows us that we too can have new life. What this means is that we do not have to be the same. For myself, it means that I no longer have to be a drug addict, a thief and a liar, a person without hope and without purpose. In the same way Jesus died on the cross, my old man or sinful nature died with Him. In the same way he rose again, I too have risen in newness of life. In other words I am no longer that former person I was before I met Christ. I am a brand new creature in Christ and now I can not only be forgiven my past, but I can walk in the power of His love. While many celebrate Easter with bunnies, candy and egg hunts or even take it as an opportunity to vacation or participate in some recreational activities, let us who call ourselves Christians remember that He is risen. We do not serve a dead deity or a faceless name in a book. We serve a living and powerful God, Who has given us the opportunity to start over if you will – the opportunity to erase the mistakes of our past and start afresh in a new life with Him. 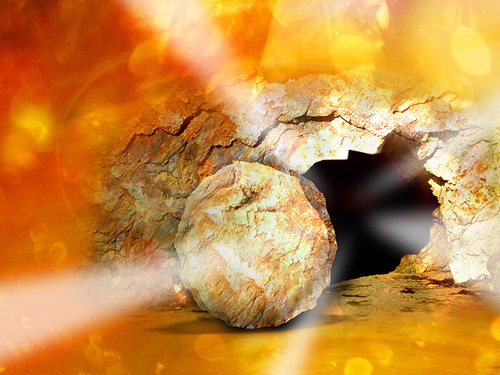 Praise be to God that He is risen!